Osama bni-Laden broke with the Saudi Royals after they allowed U.S.troops (under great pressure and duplicitous manuevers by the Americans) into in the Kingdom in 1990. This set the stage for bin-Laden’s declaration of war on the Americans a few years later and the Neocon twist of it all into 9/11 and “The War on Terror”. Now, armed by the Pentagon and manipulated by the CIA and Israel’s Mossad, the Saudis are attacking in Yemen after having quasi-occupied Bahrain. In addition the Saudis, have made the GCC into a military alliance, brought the Egyptian Junta to power and now have the Egyptian army as a mercenary force in the guise of a Sunni Army. 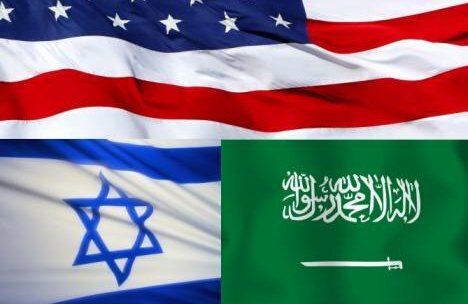 The Saudi alliance with the U.S. and Israel is now more exposed, making them more vulnerable, than ever. What the Saudis have done — aligning with the Neocons, Zionists, and junta/dictatorial regimes more than ever before — will in fact likely be the beginning of the end for the House of Saud.